Watch a remix of this Disney holiday classic accompanied by R5's Christmas Is Coming. 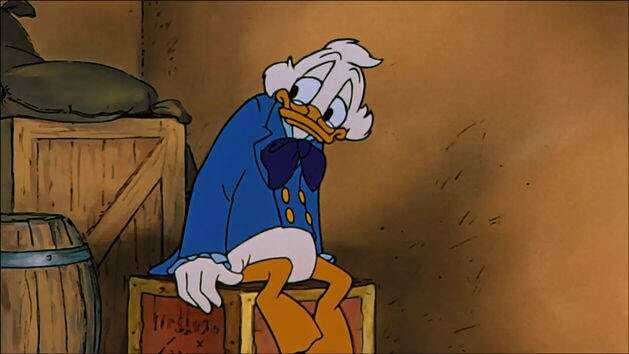 Scrooge is guided by the first visiting Ghost of Christmas to re-experience his past. Check out these fun videos featuring Baymax! Edna is a half-Japanese, half-German, short fashion designer and auteur. She is known for calling everyone "Dahling" ("darling"). Mike Wazowski’s lifelong dream is to become a Scarer at Monsters, Inc.—and he’s sure he knows just how to do it. Ever since he was a young monster, Mike’s had his eye on Monsters University, home of the world’s top Scare Program. Now a freshman and hopeful Scare student, he’s well versed in the rich history, theory and technique required to reach his goal, and the little green one-eyed monster has more confidence, enthusiasm, determination and heart than all of his classmates combined. But unexpected roadblocks derail Mike’s plans and he’s forced to team up with a group of misfit monsters and an unlikely ally to give it the old college try and pull off the biggest coup in the University’s history. Sulley's scare assistant, best friend, and roommate doesn't want any interruptions in his life—especially in his relationships. Although Mike thinks Boo is a "killing machine" at first, he later finds she's a great audience for his natural comedic talent. Anna is the most caring, optimistic, and determined person you’ll ever meet. When she set out on a dangerous mission to save both her sister, Elsa, and their kingdom of Arendelle, Anna proved that only an act of true love can thaw a frozen heart. Watch the latest videos featuring Huey, Dewey, and Louie! Check out these fun videos featuring Minnie Mouse! Check out these fun videos featuring Goofy! A large, furry blue monster with purple spots and the protagonist of the film. At the start of the film, is Monsters, Inc.'s top scarer. After Waternoose's plan is revealed, Sulley becomes the CEO of the company, overseeing the collection of laughter from children. Gentle and loving, Aurora is raised by three fairies named Flora, Fauna, and Merryweather. She lives in the forest, where she befriends several kind critters and sings of pursuing her dream. Pocahontas loves nature, and she spends her time exploring the land. After she falls in love with a man named John Smith, it's up to her to discover her destiny and bring peace to her people. Watch the latest videos featuring Pocahontas! He's Olaf, and he likes warm hugs! Watch all your favorite videos featuring Olaf. The bored mayor of Halloweentown, Jack is convinced that he can bring something exciting and new to a different holiday: Christmas. Watch the latest videos featuring Jack Skellington! 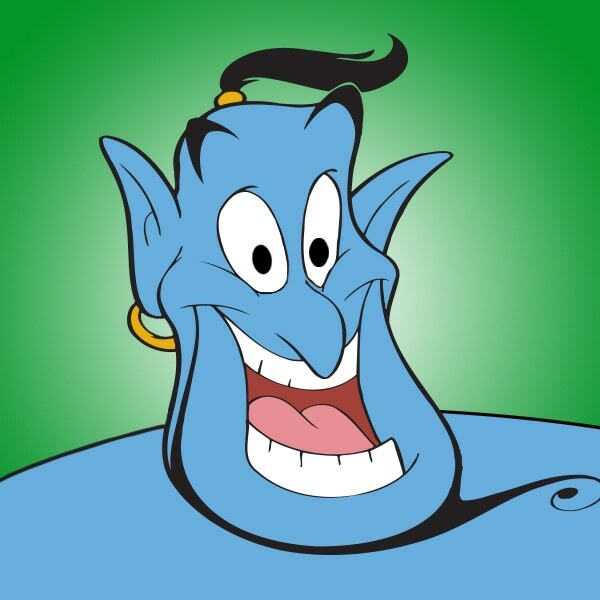 The Genie is a joke-cracking, shape-changing, big blue motor mouth who makes your wishes come true… and makes a great friend, too! Watch the latest videos featuring Cruella de Vil! As a cub, Simba was playful and always ready for an adventure with his best friend, Nala. He saw the good in everyone, even his uncle Scar. At times, he can be a show-off, and he thinks he'll be the best King ever. Therefore, he's sometimes overconfident, and he often got himself into danger. In spite of this, he comes to see the fault in his actions and acts upon the lessons he's learned. Watch the latest videos featuring Simba! Bright, brave, and bold, Mulan is a loving daughter and loyal friend. When her country needs it most, she disguises herself and goes off to fight. Aided by her dragon friend Mushu, she uses her courage and wits to win the day. Watch the latest videos featuring Mulan! Jasmine is a dreamer who loves her pet tiger, Rajah. She's free-spirited, confident, and kind. When she meets Aladdin, she discovers the wonders she's often imagined outside the palace walls! Watch the latest videos featuring your favorite princess! The result of an illegal genetic experiment by mad scientist Jumba, Stitch appears harmless. But he’s the ultimate fighting machine – strong, smart, mischievous and destructive. All he wants is a family. Watch the latest videos featuring Stitch! Cinderella is kind to all, especially her mice friends, Jaq and Gus. She has faith that if you keep on believing, your wish will come true. With help from her fairy godmother, she gets a chance to live her dreams. Watch the latest videos featuring your favorite princess! Watch the latest videos featuring the Mistress of all evil herself, Maleficent. Watch the latest videos featuring Tinker Bell! A stuffed bear who lives in the Hundred Acre Wood along with all of Christopher Robin's toys. Watch the latest videos featuring Winnie the Pooh! Ariel is an independent and determined young mermaid. She spends her days singing, daydreaming, and adventuring with Sebastian and Flounder. She falls for a human named Eric and risks everything for her true love. Watch the latest videos featuring your favorite princess! In the mountains of Arendelle, Elsa learned how to let go and embrace the icy powers that make her special. With the help of her sister, Anna, Elsa grew to realize that love can conquer fear and she now has what a family’s love can give her: happiness. Watch the latest videos featuring Elsa! Watch the latest Mickey Mouse videos! Merida is a Princess by birth and an adventurer by spirit. She spends her days practicing archery, riding her horse Angus, and exploring the world around her. She loves her family, but she wants to control her own destiny. Watch the latest videos featuring your favorite princess!